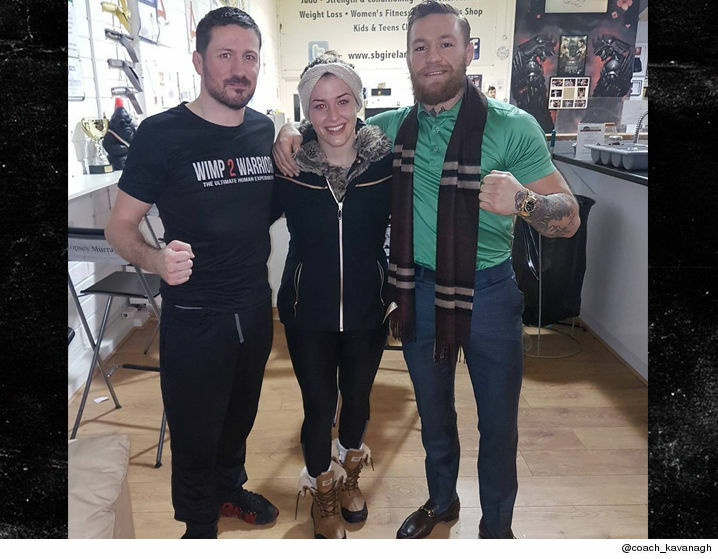 Conor McGregor hooked up with badass gold medal winning wrestler Helen Maroulis in Ireland … and spent hours training with the Olympian. Maroulis — the first American female wrestler to take gold in the Olympics — posted a picture with Conor on Instagram … leading people to wonder why the wrestler and fighter were together. Helen gave us the answer … it was all about working up a lather! Helen says the lessons from Conor didn’t end on the mats … he also schooled her on handling the media. As for when we’ll see her fight, Helen insists she still hasn’t made up her mind on the move to MMA … but all signs seems to be pointing to a foray into the combat sport.